You can also find events to pressure your members of Congress to fight on everything from the environment to taxes to immigration. Take Action Now gives you three meaningful actions you can take each week—whatever your schedule. This week, you can call or visit your senators and representative to urge them to fight for net neutrality or join a Town Hall, protest, or other action on issues ranging from tax reform to the environment to immigration. You can sign up for Take Action Now here. Call your representatives to demand that they fight for net neutrality. Over 10 million people have submitted public comments to the FCC since FCC Chairman Ajit Pai announced his plan to gut net neutrality—this is a greater outcry than even the run-up to our big win on net neutrality in 2015. But even with the public response, this is an uphill battle. Congress has important oversight authority over the FCC and getting members on our side is key to winning this fight. Use this tool to call your members of Congress and demand that they do everything in their power to protect net neutrality. While your members of Congress are back in their districts on recess, keep up the pressure. Some of the most attention-grabbing protests of the first months of the Trump administration involved constituents showing up at district offices during a congressional recess to hold members’ feet to the fire. During the August recess, we need to be at it again, whether we are organizing for a fair tax system, demanding action on climate change, or fighting attacks on immigrants. You can find recess town halls, protests or other events near you using Indivisible’s calendar here or MoveOn’s calendar here. Plan and host your own meeting with your senators or representative to ask them to fight for net neutrality and to underscore why the issue is so critical. 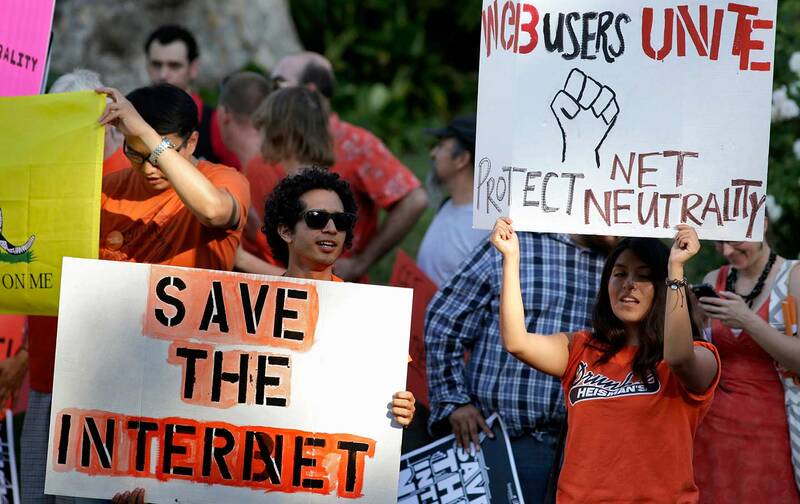 A coalition of advocates for the open Internet are helping constituents set up meetings. You can sign up to visit your members of Congress here and they will be in touch with next steps. The coalition has created a guide to support your efforts and you can find already scheduled events here.